Here, we take you through the initial steps to create the basis of the design in this first part. 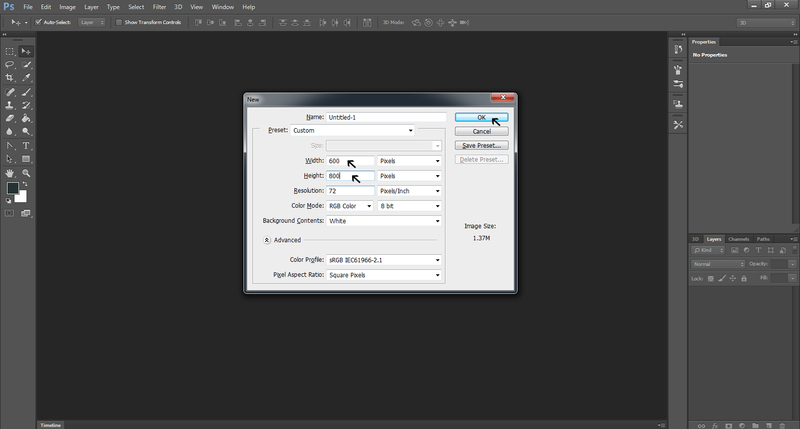 Go the File menu of Photoshop and click on Open. 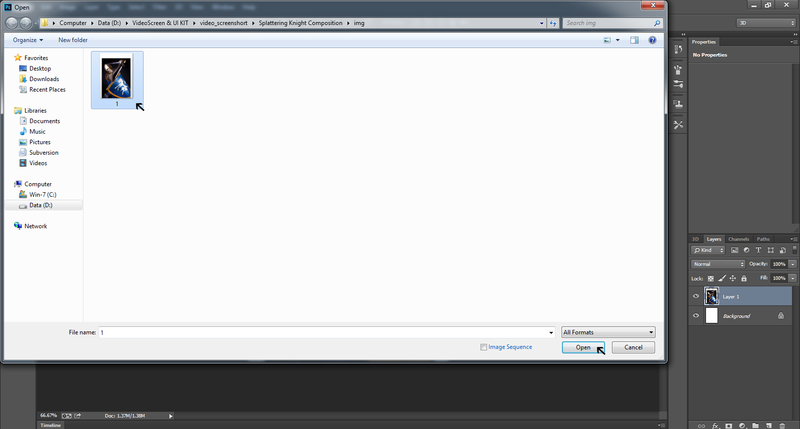 You get the new document menu to fill the height, width, resolution, color mode etc. as per the requirements of the design. 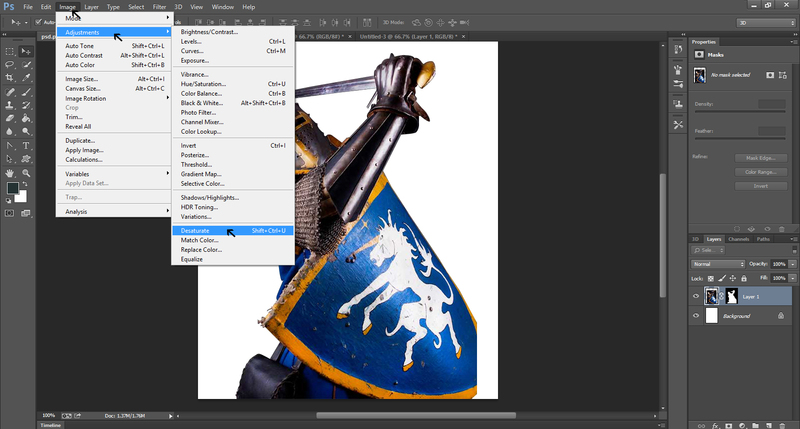 Now you need to import the image of a Knight from the image file stored in your computer. You now have the picture of the Knight. This will be your layer 1 for the design. 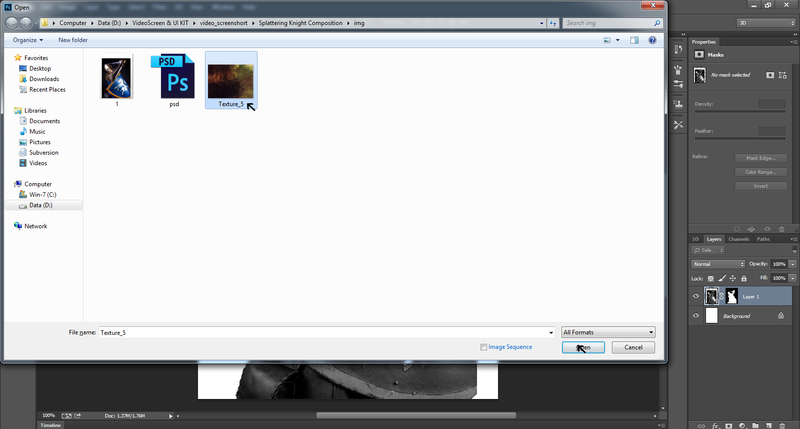 Now go to the Image button on the top bar and click on Adjustments and then on Desaturate. You are working on the Layer 1 here. 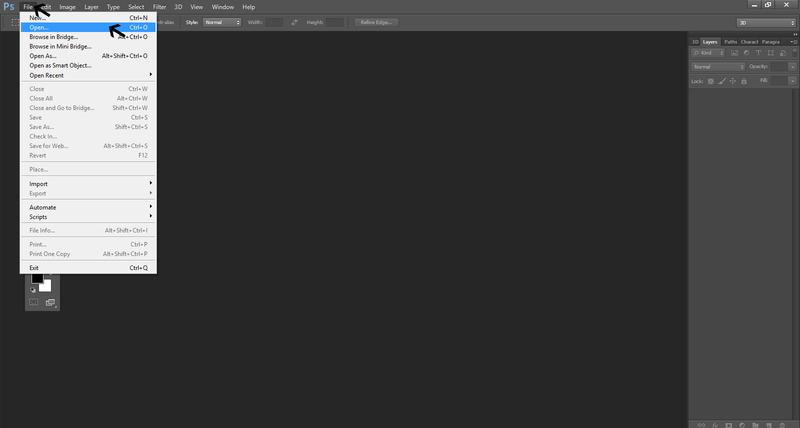 After you desaturate the picture, it appears on the document without its colors. Now the picture will appear in black and white. Now you would like to add some texture to the picture. To do so, go to the computer files where you have saved some textures and import it to the document. 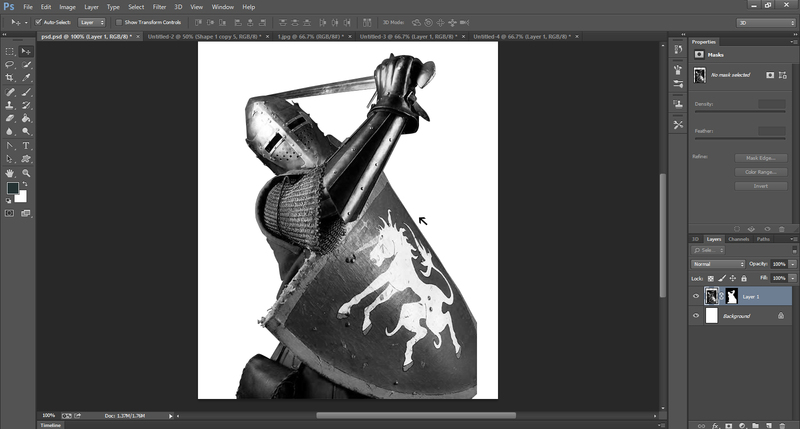 Here, the texture has been incorporated in the design as the background for the image of Knight. The texture becomes your Layer 2 for the design. 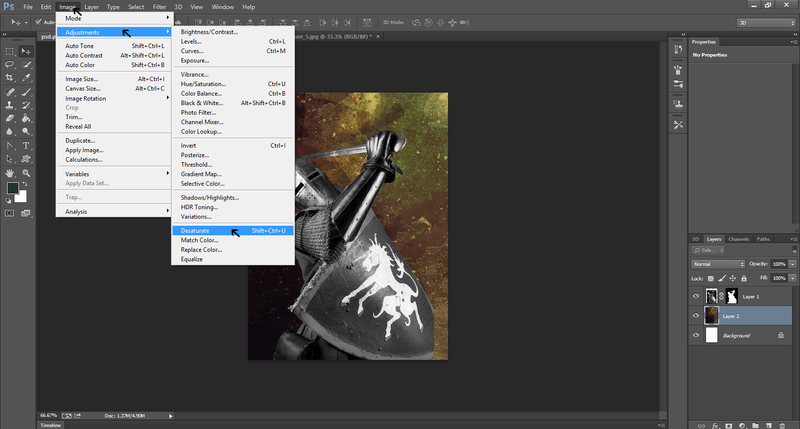 Now, you can remove the colors from the texture as well and turn it into black and white look that matches with the image of the Knight. To do so, you should visit Images, then Adjustment and then to Desaturate. 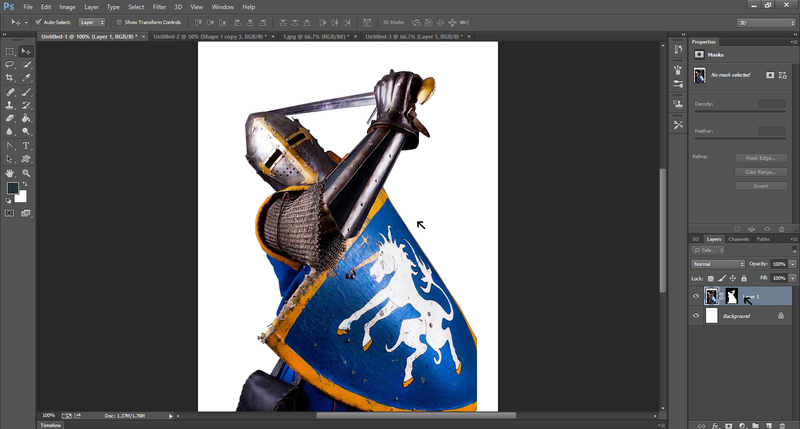 In the Part -2 of this tutorial, you will learn how to create a faded and vintage look for the image of the knight and the overall design. You will also learn the technique to create the impression of splattered ink. Next Next post: How a Freelance Graphic Designer Should Work with Clients?